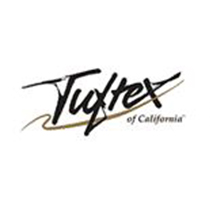 Tuftex Area Rugs offers a unique assortment of rugs inspired by Tuftex broadloom carpets. Perfect for any room of the house in need of added softness and undeniable comfort, choose from a wide range of colors, textures, sizes and shapes. With ultra-chic patterns, crisp clean modern appearance and even cozy shag features, Tuftex offerings an area rug for any space. With state of the art manufacturing, these area rugs are built to last while each rug has been meticulously hand selected and designed to ensure harmonious blending with surrounding d�cor schemes. Additionally, each rug is constructed with 100% branded nylon yarns backed by Shaw�s patented Softbac Platinum backing system. The ever popular carpet from Tuftex, My, My, My has been beautifully translated into area rug form that spares nothing with its lush, shag appeal. Offering inspiring looks an undeniable comfort, these area rugs present inspiring design statements constructed from 100%Durasoft Weardated Nylon and backed by Shaw�s patented SoftBac Platinum backing system. A super cozy area rug, My, My, My, offers 21 solid bold hues in rectangular, oval, square and round shapes. Differing greatly, Tuftex Plantation Island is a chic, nature-inspired area rug revealing intricate patterns that is innovatively styled with striated tea washed yarn. Offering one-of-a kind looks, this natural fibered areas rug is equipped with irresistible softness and convenient stain protection. Plantation Island area rugs are also available in a wide array of sizes in a traditional rectangular shape.